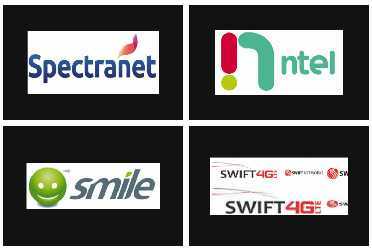 already familiar with some of these top 4G LTE Internet Service Providers in Nigeria. bundle balance on Spectranet,Smile,Ntel & Swift 4G LTE Networks. Q: How To Easily Check Your Data Bundle Balance On Spectranet? (c) If you have any further questions or complaints you can quickly contact spectranet's customer car unit on 07002345678, 08002345678, +23415010000 or you can send an email to care@spectranet.com.ng. (a) Get any internet enabled device,log on to swiftng.com,proceed and click on the ''self service'' button. (b) Then click on ''user login'' and fill in your details on the login portal. (c) A page will be displayed showing your ''Account Summary' and your data balance. Q: How To Easily Check Your Remaining Data Bundle Balance On Smile 4G LTE? (a) Get any internet enabled device,log on to smile.com.ng/scp/,locate the ''Smile Customer Service Portal''. Q: How To Easily Check Your Remaining Data Bundle Balance On Ntel? (c) Go ahead and click on 'Sign In'.